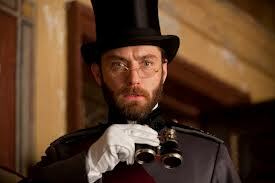 There are countless brilliant and beautiful things in the movie Anna Karenina. The cinematography by Seamus McGarvey, Jacqueline Durran's costume design, the sumptuous score from Dario Marianelli, even the makeup, all meet the usual expectations of a big budget period piece (it was under $100 million) and soar beyond. 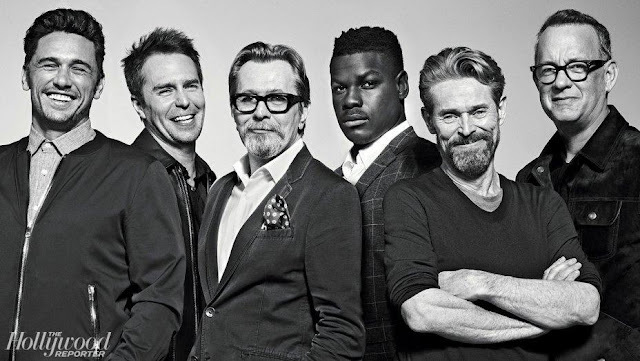 I just wonder if the director Joe Wright had wanted to make a film more grounded in the conventional storytelling tradition of the movies, whether the film as a whole would soar more. But that's not what Wright set out to do. He wanted to break tradition, he wanted to experiment and explore. That's what artists do and what they should do. 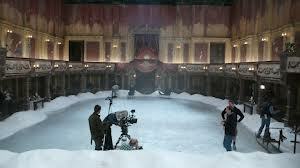 Rather than setting Anna Karenina in the grand places of a bygone period, rather than recreate gorgeous but costly locations, the director sets almost the entire story within the confines of a small ancient theatre, beautifully designed incidentally by production designer and frequent collaborator, Sarah Greenwood. The action takes place on stage, backstage, up in the catwalks, and in the audience; the workings of which are captivating to watch for a while. Until they become too distracting, occasionally confusing and ultimately claustrophobic. To give the director credit, the 'theater concept' apparently wasn't just an artifice he thought would be cool. I hate when a director goes for the look of the shot over the meaning, clearly, the visual impact should work in concert with all the other elements to strengthen the emotional impact of a film's message. 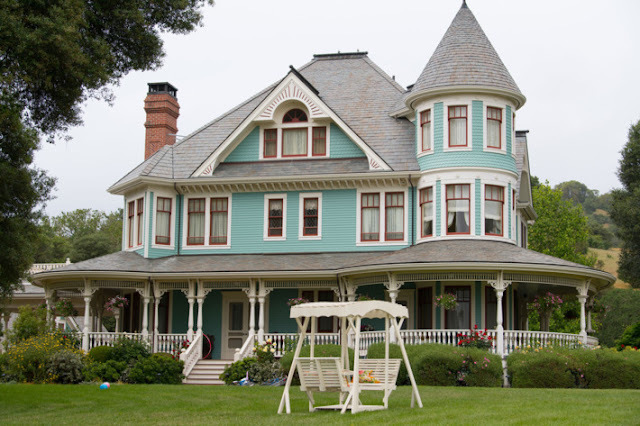 Wright told Film School Rejects that while he had been thinking of making a movie like this for quite some time, that it was the productions' budget that finalized his decision. "It was only until we got at a certain point in pre-production where we saw the travel and hotel costs. The budget was ballooning, and not in the right way. It wasn’t stuff that would end up on screen. I decided to set myself up for the limitation of one single location. Out of that, I felt liberated. I guess it’s those limitations are where the most creativity comes from." Except that the film isn't actually all shot in that single location. It occasionally and seemingly inconsistently goes outdoors. In fact it is scenes like the one where we see Kostya Levin, our country boy, out working in the fields along with a dramatic line of scythe-wielding workers, a shot right out of Moviemaking 101, a glorious shot of the great outdoors that only reminds us that Wright might have been better served had he used the traditional tools of the trade more freely. Have camera, will travel and all that. One of the advantages film has over the theatre is that movies can take you places you might otherwise not go. That's part of our movie magic expectation. I expected to go to the Russia of the 1870's, to see St. Petersberg, to see Moscow, instead, I went to a faux theatre. I expected great drama from this tragic tale of love. Instead, I was stirred. Not shaken. If my longing to be swept away was denied, I partly blame Tom Stoppard's script which somehow manages to hit all the key elements of Tolstoy's expansive novel but even with two hours and ten minutes, doesn't quite linger long enough at key episodes. But I also blame Mr. Wright. Did his need to fit the action into a theatre setting ground his production? It's hard not to think otherwise when one minute one is wondering why those people are scattered throughout the catwalks and at another, why on earth the director chose to stage a horse race in a theatre? What is the meaning of that? And then there is his crazy casting. 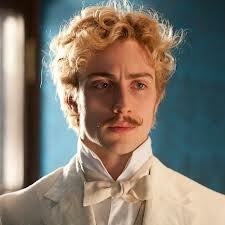 I've been wary of the young Aaron Taylor Johnson playing Vronsky since I first heard about it. I felt he was too young, too slight, not yet man enough. 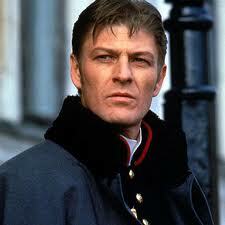 I admit to comparing him to the very manly Sean Bean who played Vronsky in the 1997 film version. Unfortunately, I was right. Johnson is too young, his brassy yellow-dyed hair, his boyish demeanor; none of it adds up to the life-changing, heart-wrenching passion and desire Anna and Vronsky have to feel for each other. He is completely resistible. The swooning and moaning aren't coming. And don't hate me but Keira Knightly? Anna as a character should cause our hearts to ache and cry out at how much she is willing to lose for this great love that will not be denied. Clearly Keira Knightly couldn't find the chemistry; and neither could I. I watched her, surprised to see that the way she hangs her mouth open, her eyes darting about, that these were physical ticks or affectations that took me right out of the movie. Rather than being moved by the plight of Anna and Vronsky, my heart was touched by the rigid Karenin. Despite his efforts to imprison Anna in the overly traditional marital expectations of the period, Jude Law made Karenin's pain, his pride, his overcoming of them both to become a better man and father, profoundly satisfying. The story of Kostya Levin and Kitty is pure and beautiful, a counterpoint to Anna and Vronsky's ruinous affair, and Wright did that very very well. The chemistry between Levin played by Domhnall Gleeson, (perhaps best known for playing Ron Weasley's brother Bill in the Harry Potter movies) and Kitty, a luminous, baby-faced Alicia Vikander, (a young Swedish actress completely new to me) is absolutely there. It's strong, it's pure and while we feel very little of the passionate love we're told Anna and Vronsky feel, we are done in completely by the simple purity of Levin and Kitty's love evident in actions such as Kitty, casting off society's criticism, caring for Kostya's dying brother. Matthew Macfayden (he's Tom Quinn in the MI5 BBC series) is wonderfully beyond redemption as the cheerfully cheating Oblonsky with Kelly Macdonald (Margaret in Boardwalk Empire) stoic as his long-suffering wife living in this world of sexual double standards. Finally, if Anna Karenina doesn't quite succeed; if it tries too hard, that doesn't mean it quite fails either. It just falls short of the mark. Still, I laud Wright for trying because while I was in turns curious, captivated and confused to see what Wright together with Stoppard, et al, had done to Tolstoy, I was never left to languish for long. I was never bored. You may not love everything about Anna Karenina but I think every film lover should see it if only to analyze Joe Wright's choices. I believe he made three choices that led him astray - setting the story in a theatre, casting Aaron Taylor- Johnson as Vronsky and finally leaving Keira Knightly to her own devices, leaving her to rely on surface skills and "acting" but never quite arriving as Anna, fully-fledged. Perhaps what I found claustrophobic, you'll find enthralling, electrifying. I'd love to know! Oh, how disappointing. Grace and I were going to go see it on Thanksgiving while the guys saw the new James Bond movie. I heard the director on NPR talking about scouting different settings, and everywhere he went, people would say, "Oh, sure we've had 5 other Anna Karenina movies made here" or "We've had 3 other Keira Knightly movies filmed here." That's one of the reasons he chose to set it inside. I still think you should see it! On the other hand, the James Bond film is really good. I thought of you as I wrote this - I hope I didn't ruin things for you Arti! I can't wait to hear what you think of it. Forgot to say, that's a brilliant title for your post. And, now I've to find another word if in case I do feel claustrophobic... don't want ppl. to think I copy your idea. And hey, I'm glad I've found someone with whom I can share my passions for books and films. I'm not territorial you know. ;) BTW, I just came back from watching Lincoln. What a great movie. Have you seen it? Love to read your review of it. Amazing film! I was blown away. I feel like it's a very important film and I really don't think a review from me adds much to the dialog but I couldn't resist putting in my two cents anyway! Can't wait to hear what you think too.